Heat oven to 350°F. Line broiler pan with foil; spray foil with cooking spray. In large bowl, mix beef, bread crumbs, 1/3 cup of the ketchup, the parsley, onion, salt, pepper and egg. 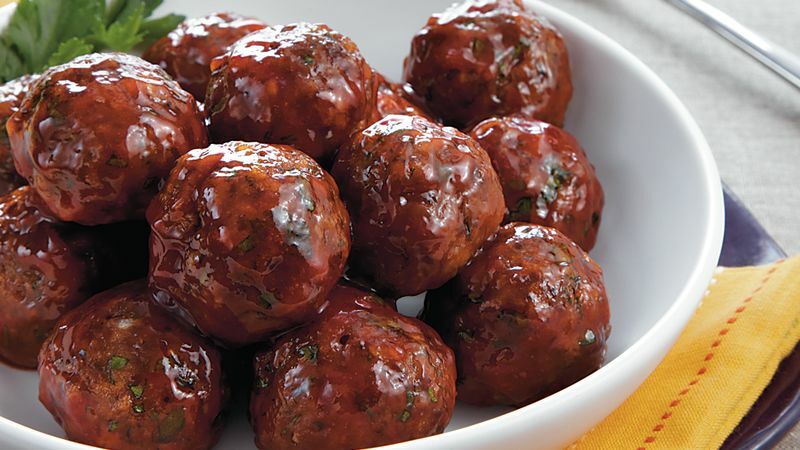 Shape meat mixture into 32 (1 1/4-inch) meatballs, placing 1 potato nugget in center of each. Place meatballs in pan. Bake 25 to 28 minutes or until thoroughly cooked. In large serving bowl, mix remaining 2/3 cup ketchup and the brown sugar. Add hot cooked meatballs, tossing to coat completely. Serve immediately.